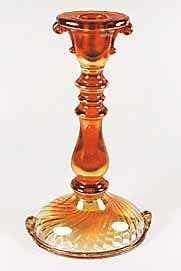 A distinctive design with two little scrolls on either side of the top and base. 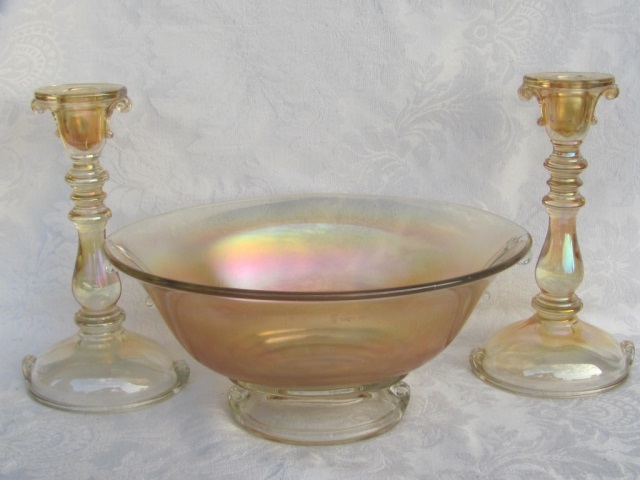 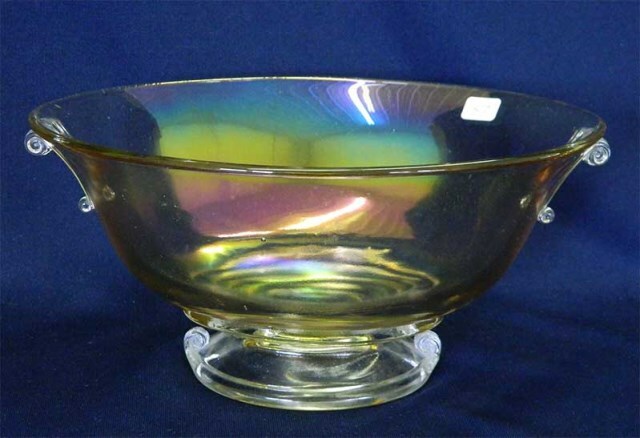 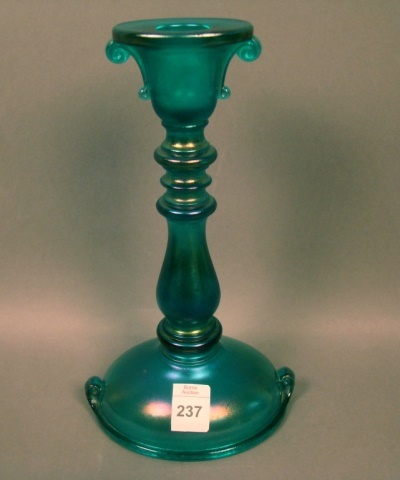 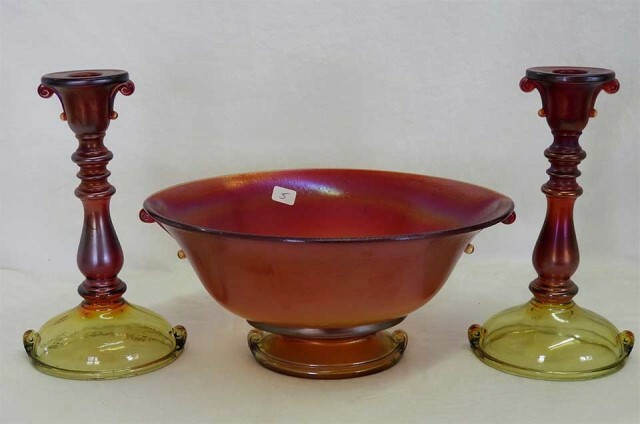 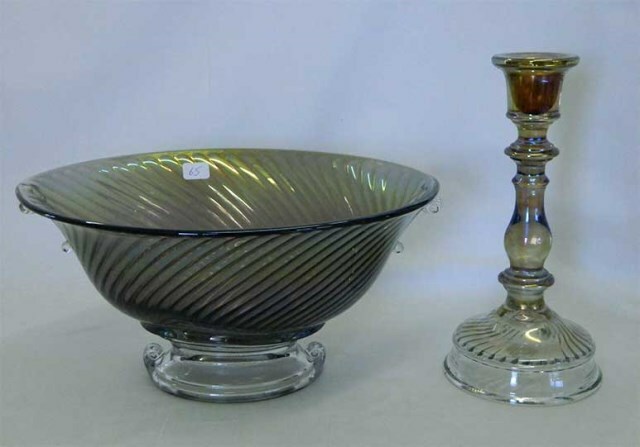 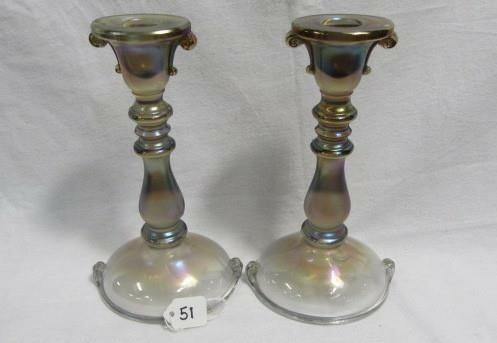 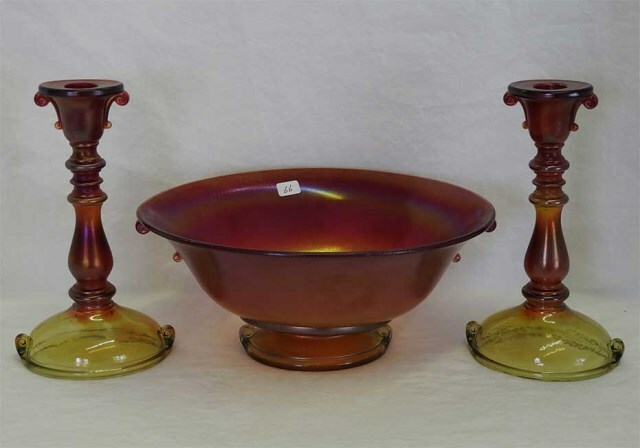 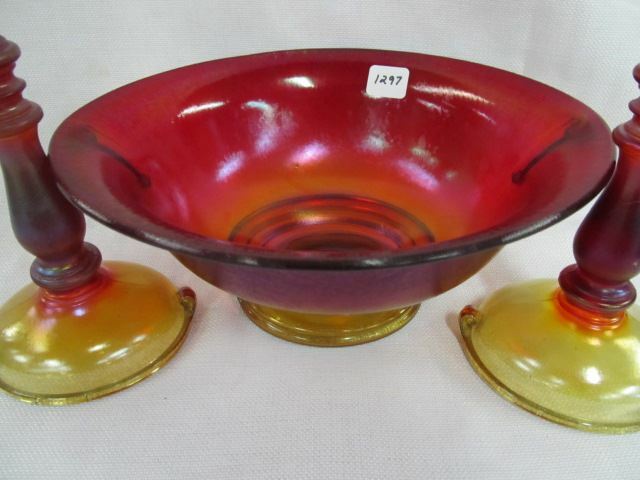 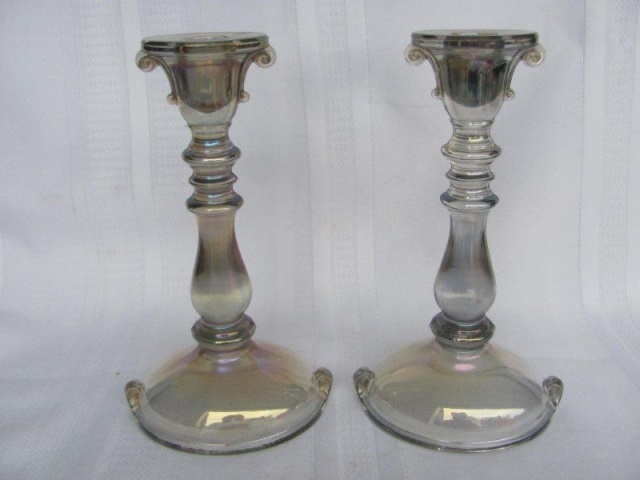 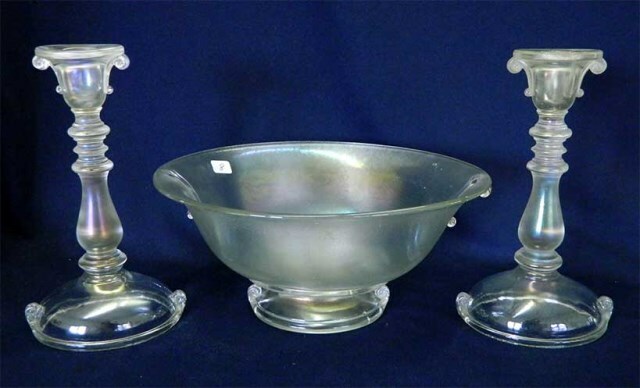 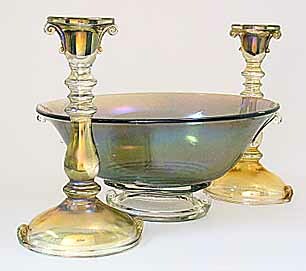 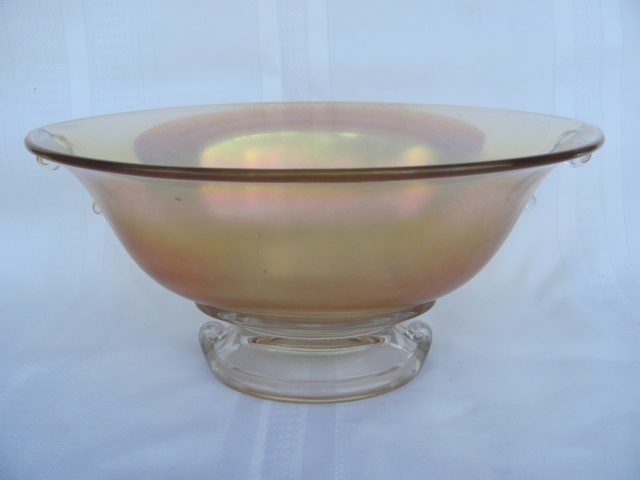 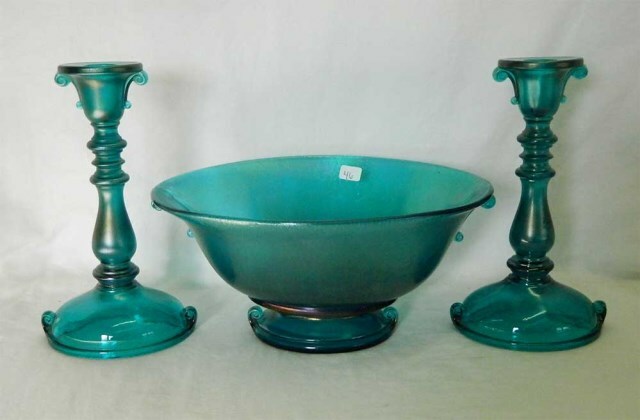 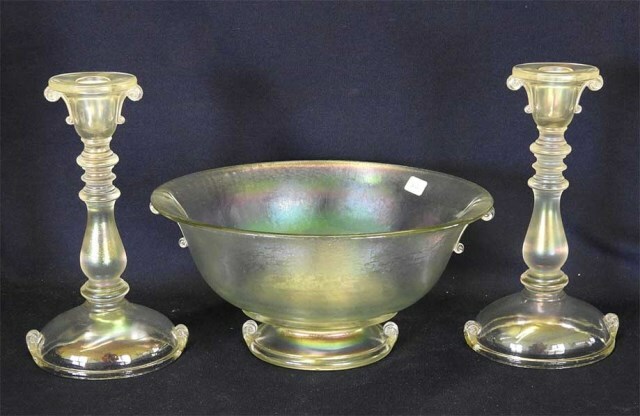 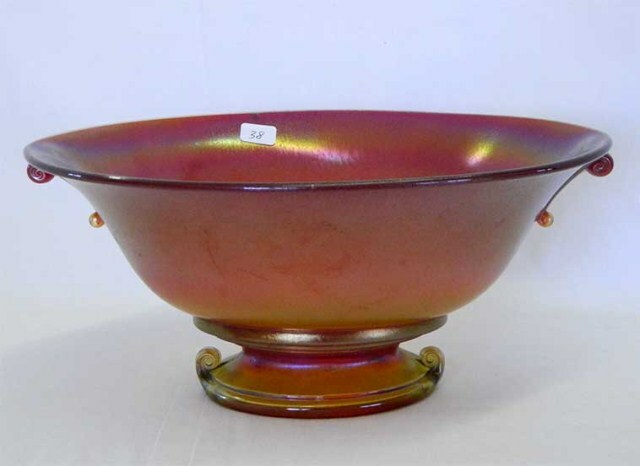 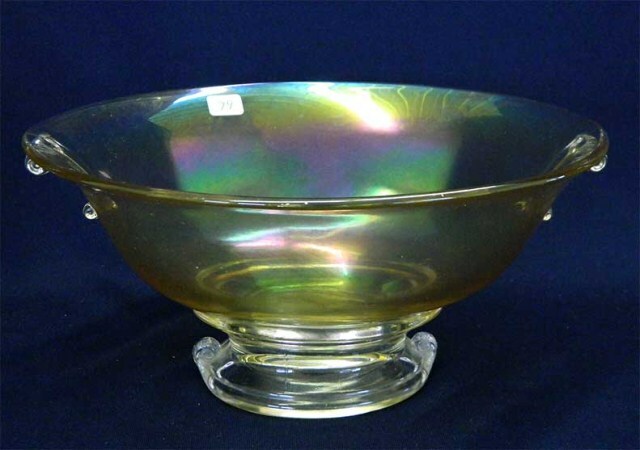 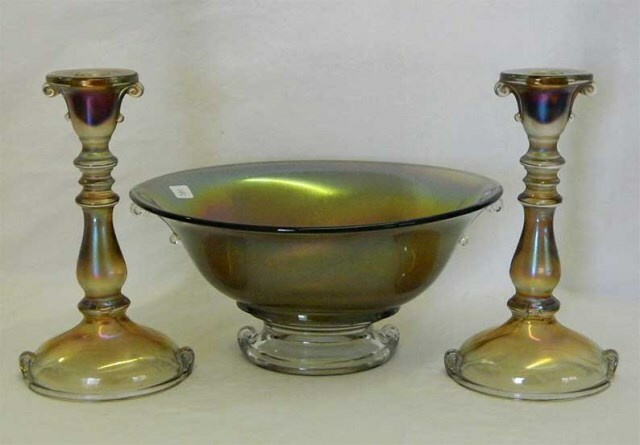 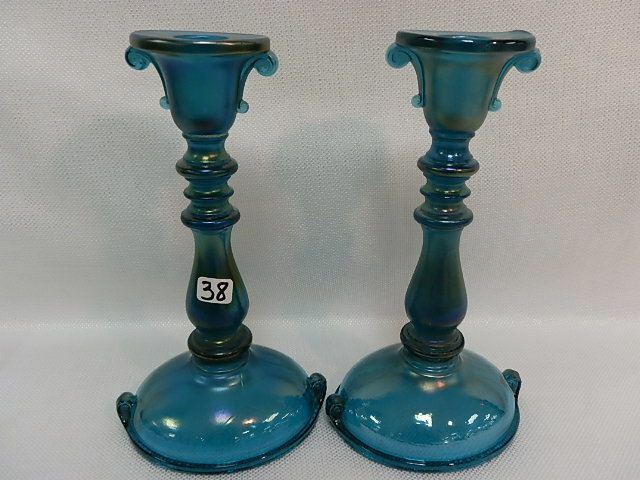 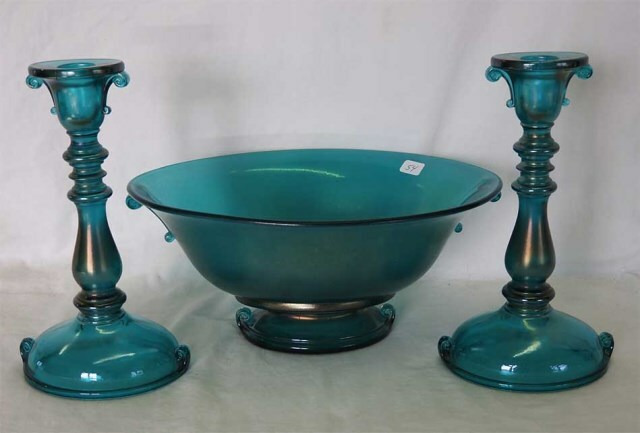 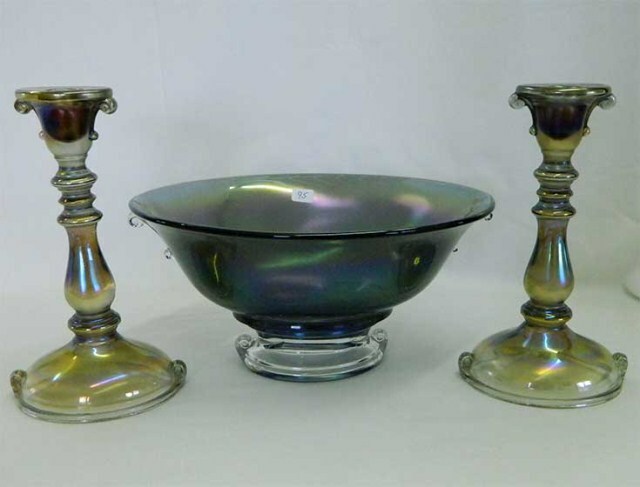 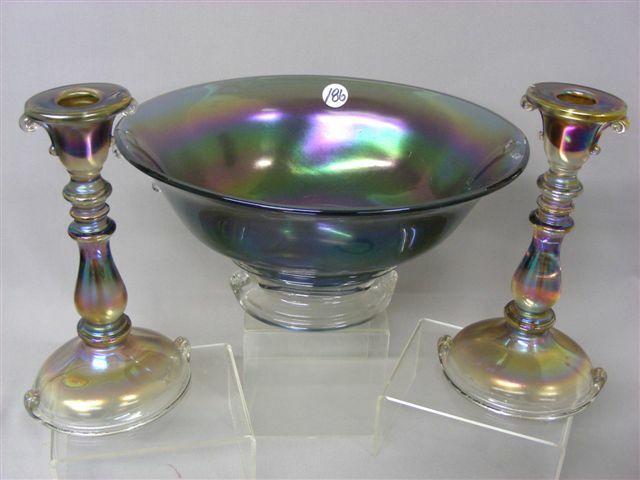 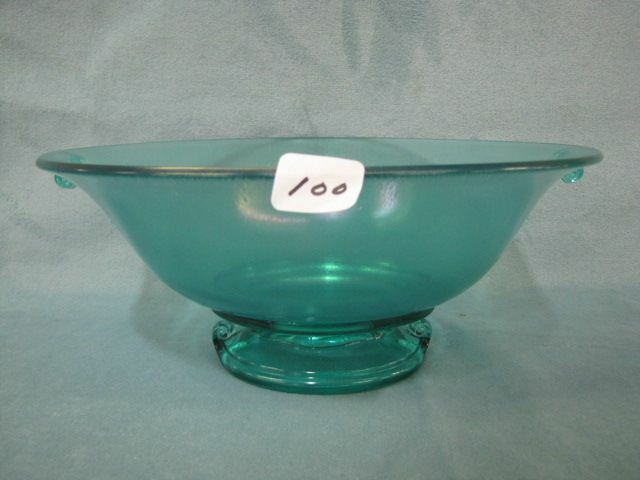 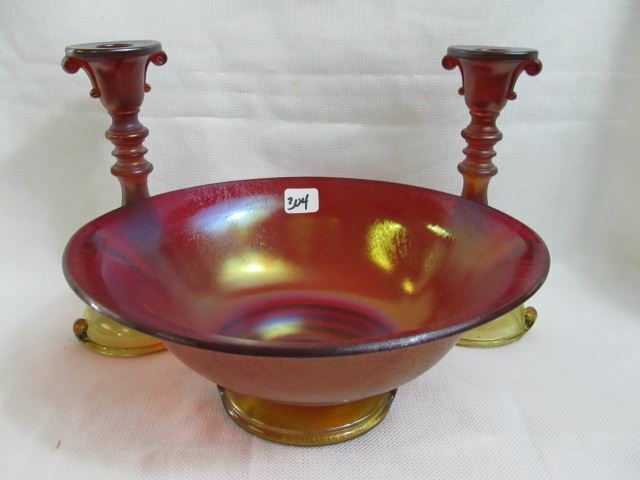 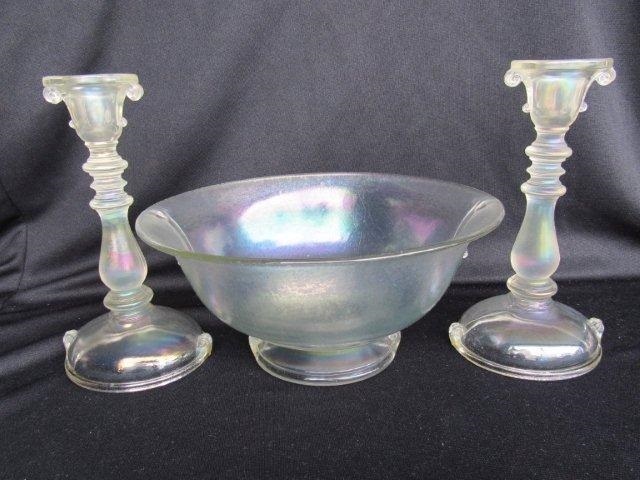 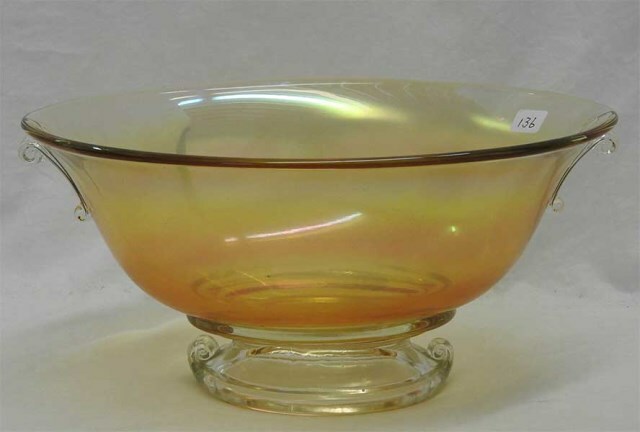 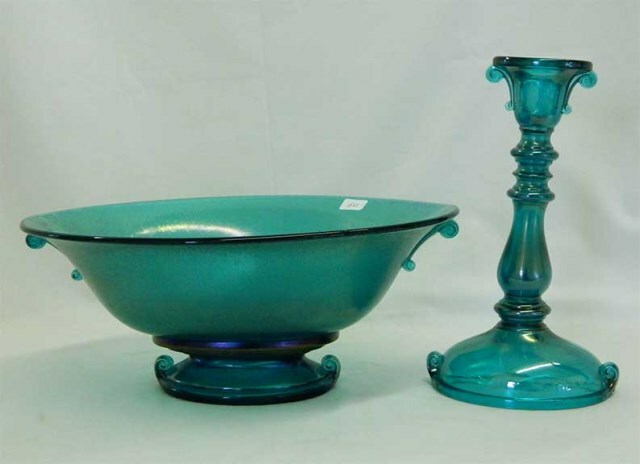 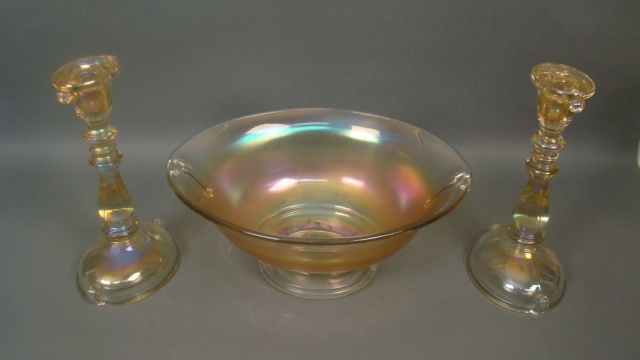 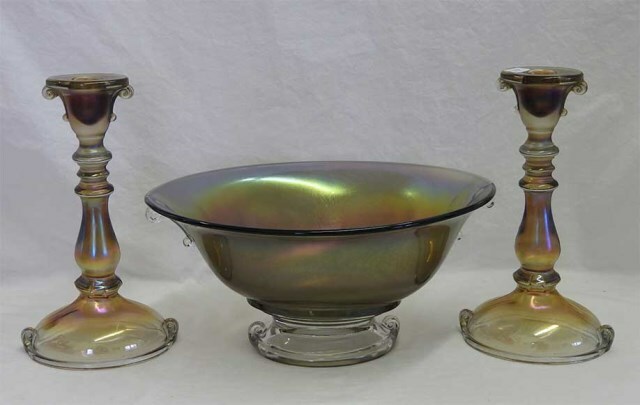 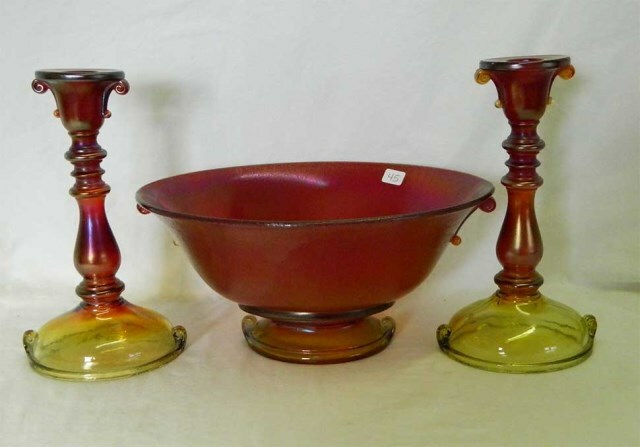 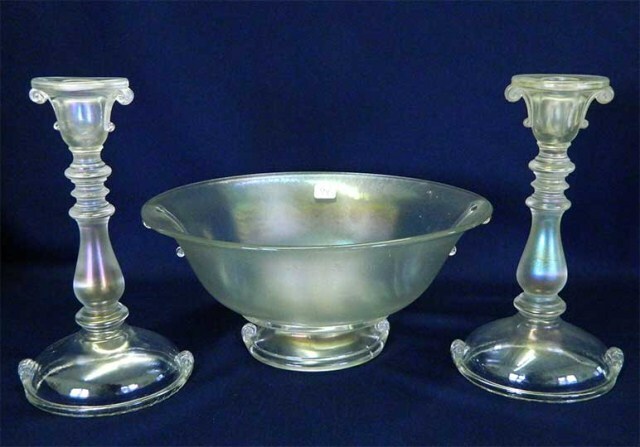 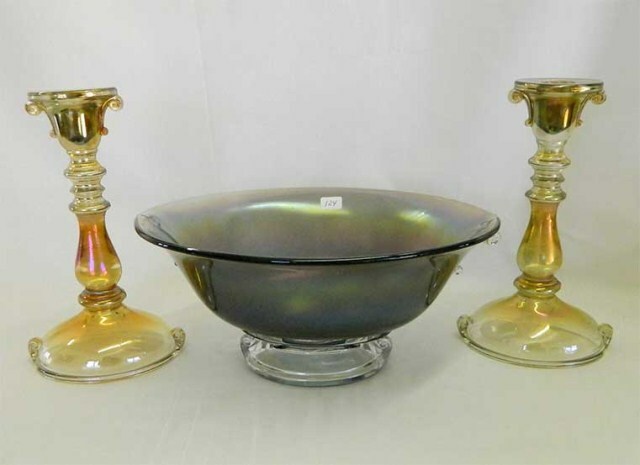 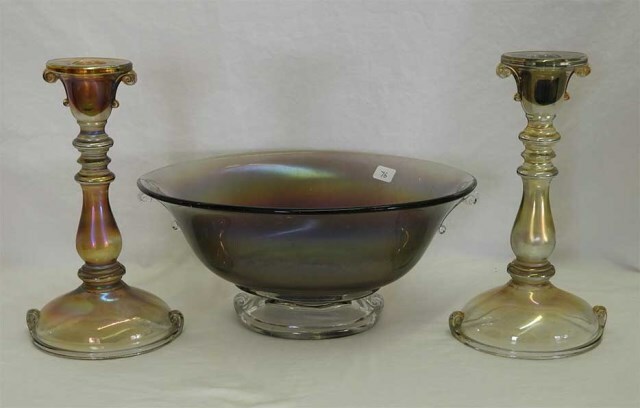 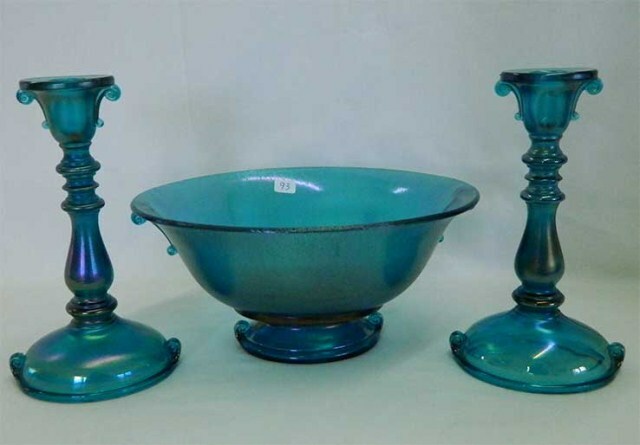 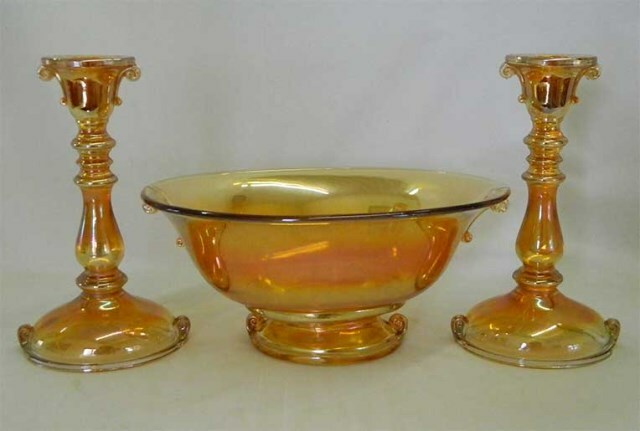 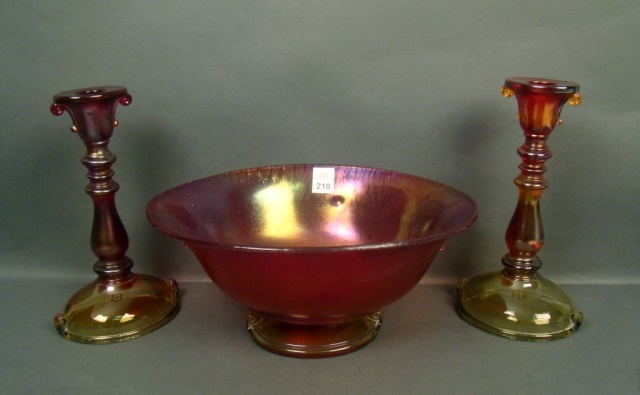 Seen most often as a pair of candleholders though an occasional console set (above left) or the bowl alone shows up. 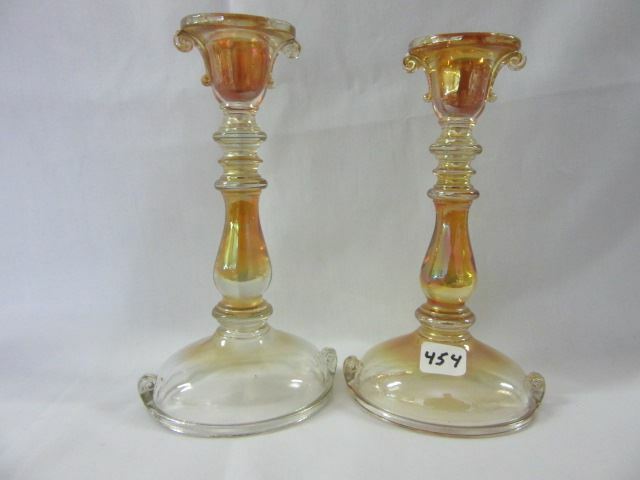 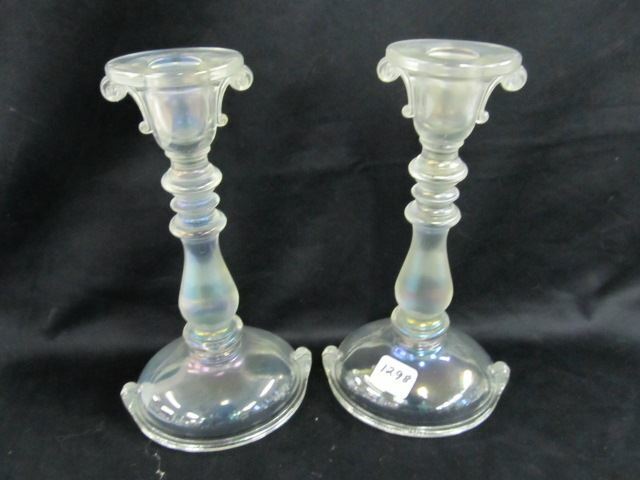 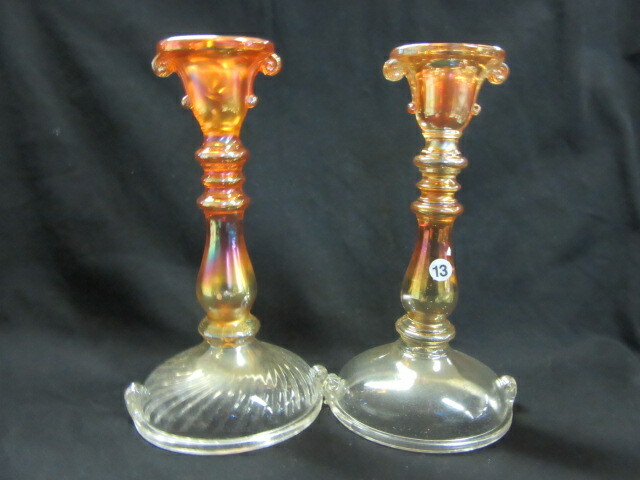 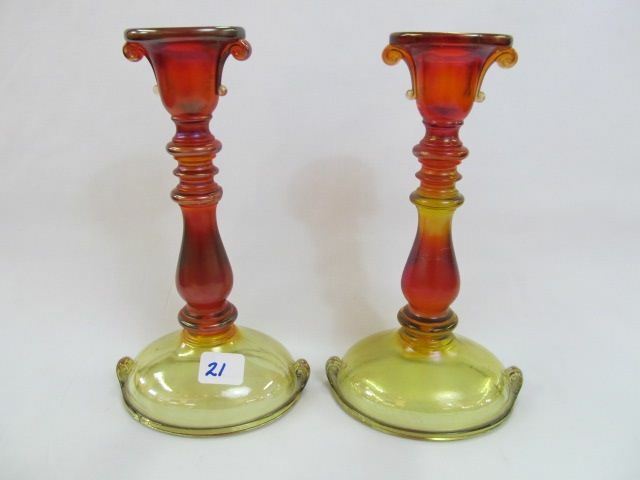 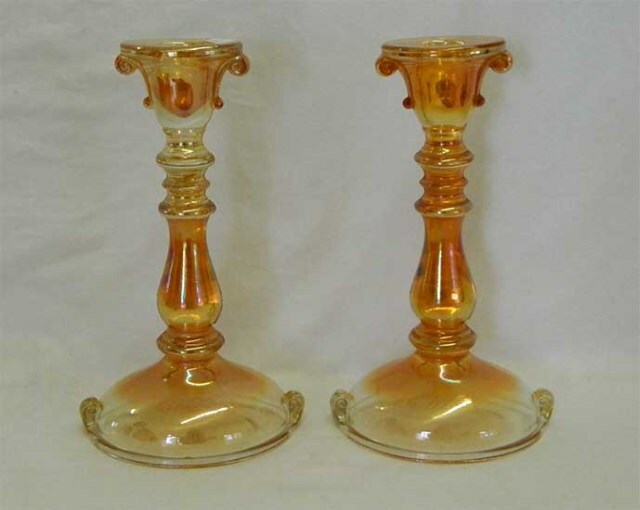 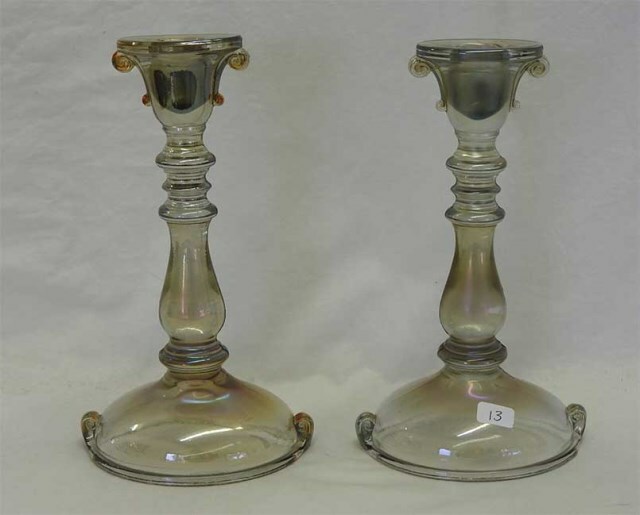 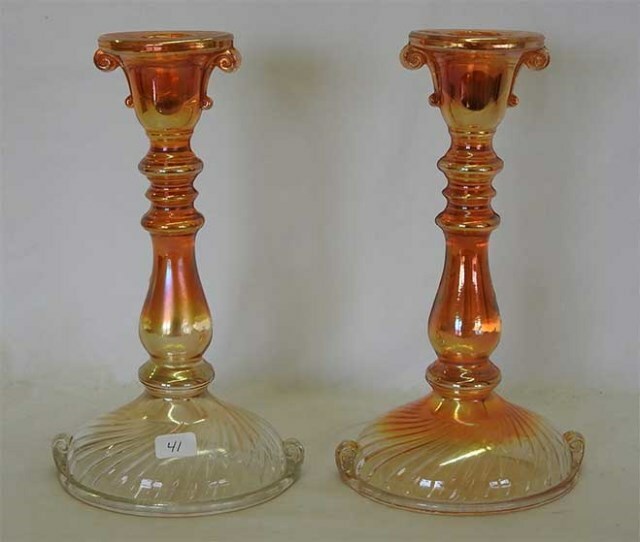 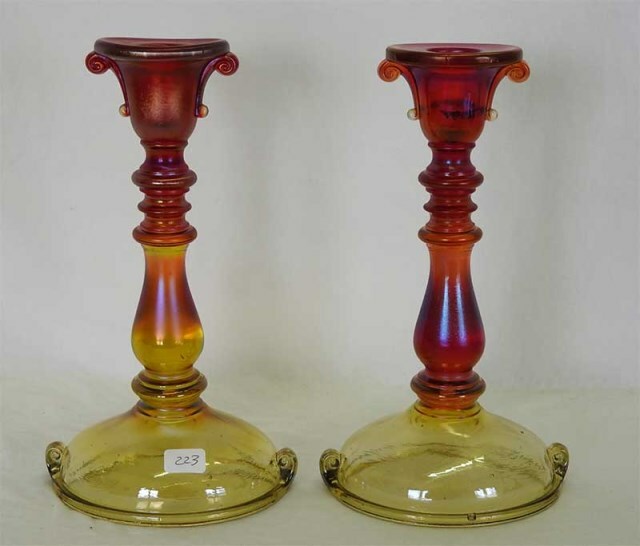 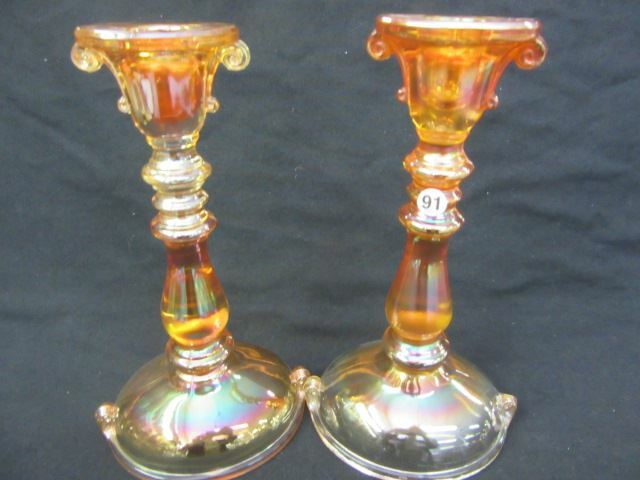 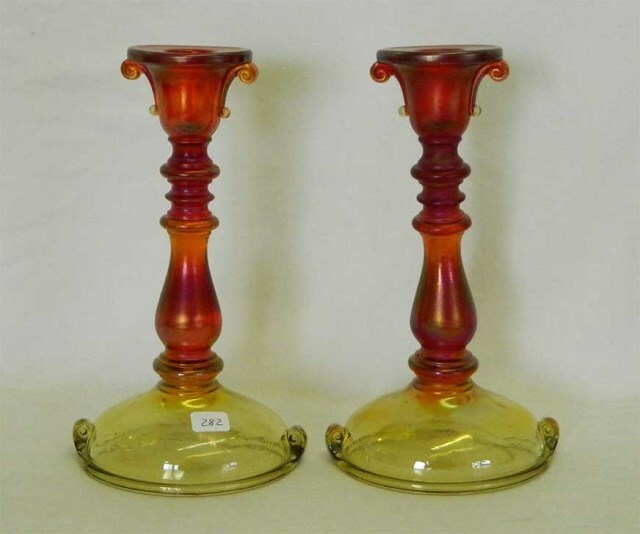 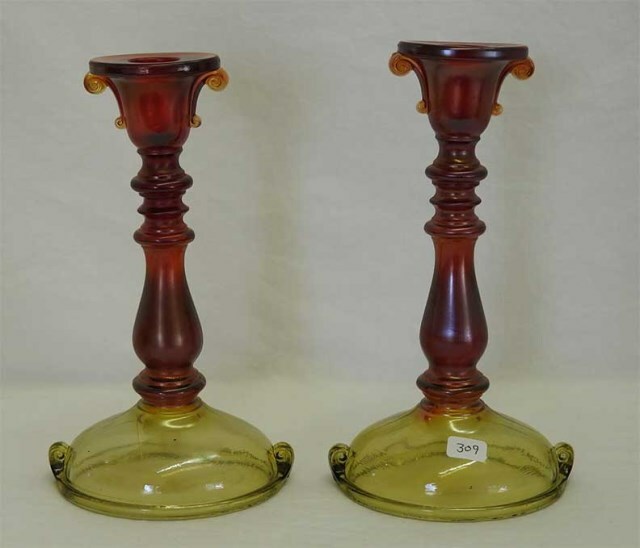 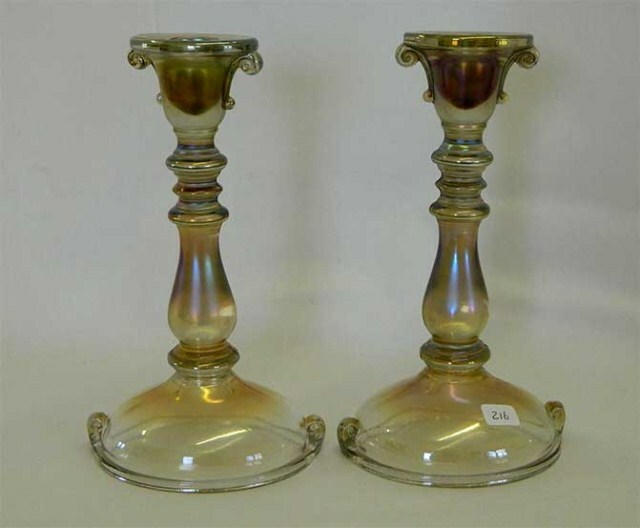 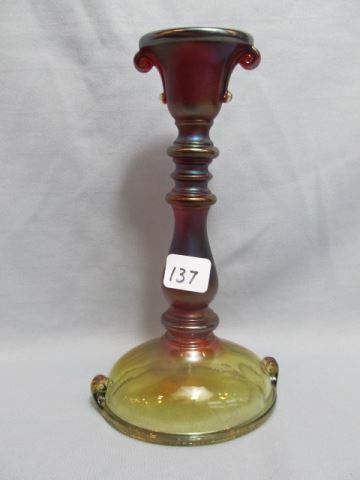 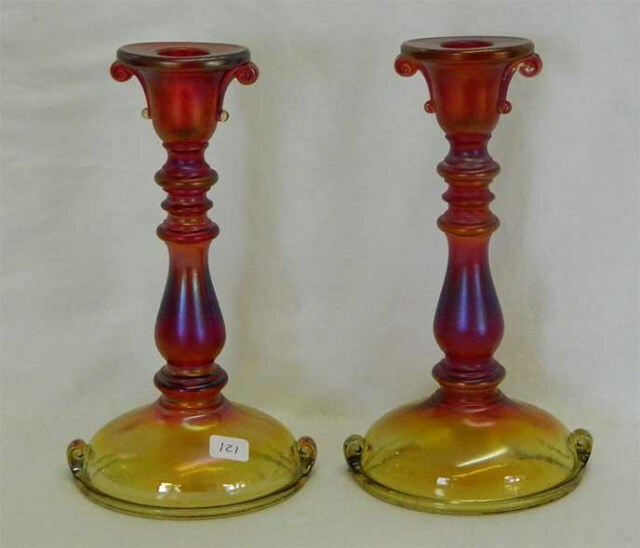 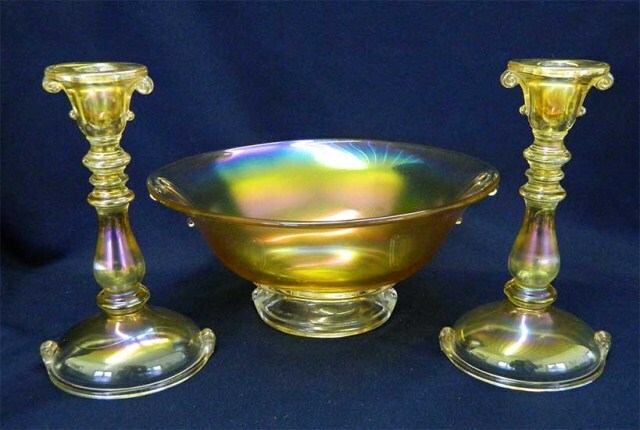 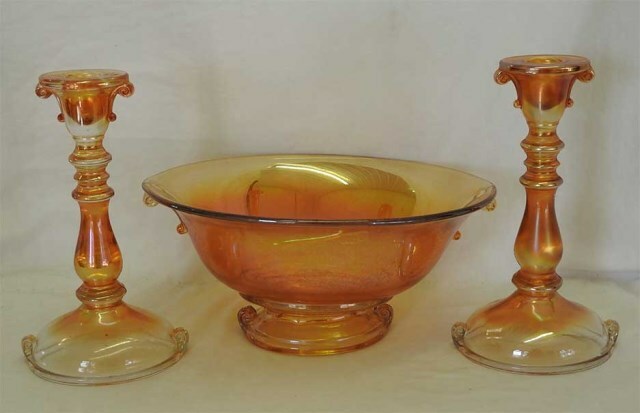 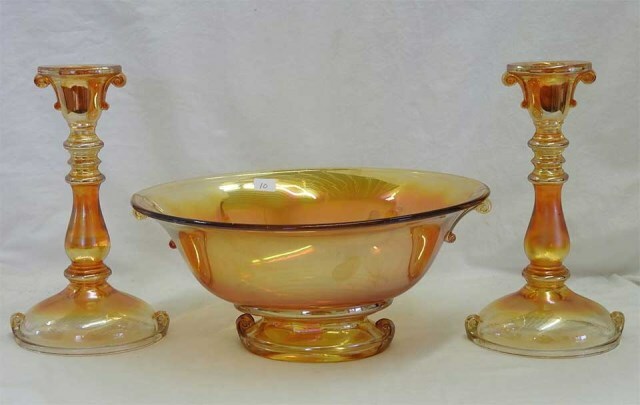 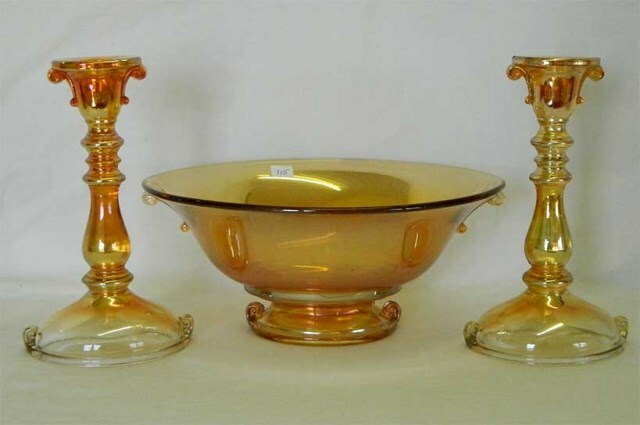 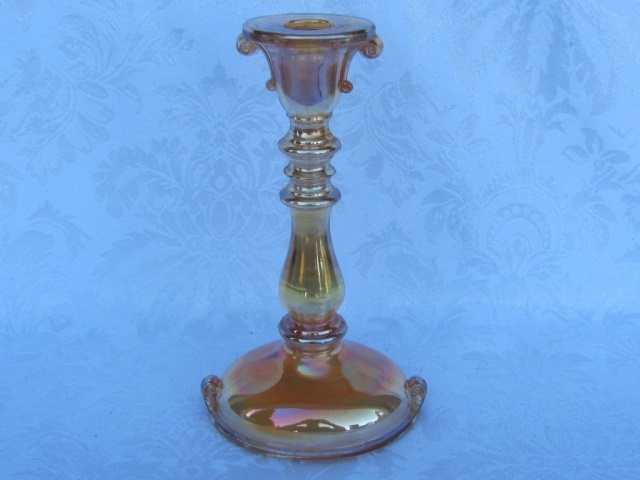 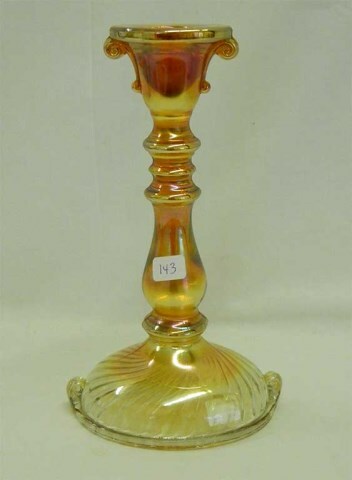 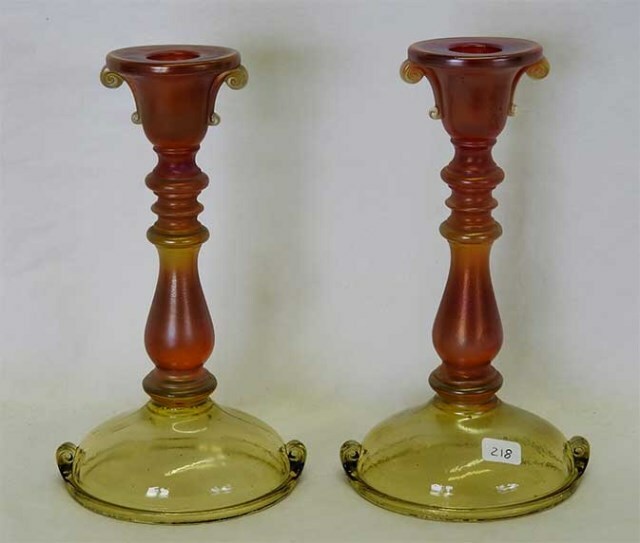 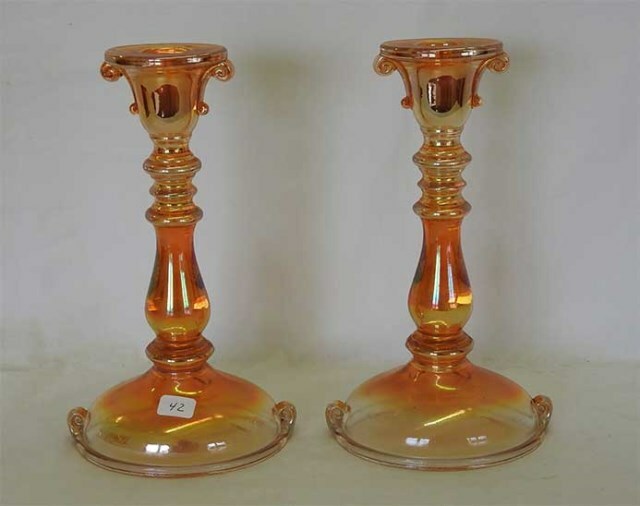 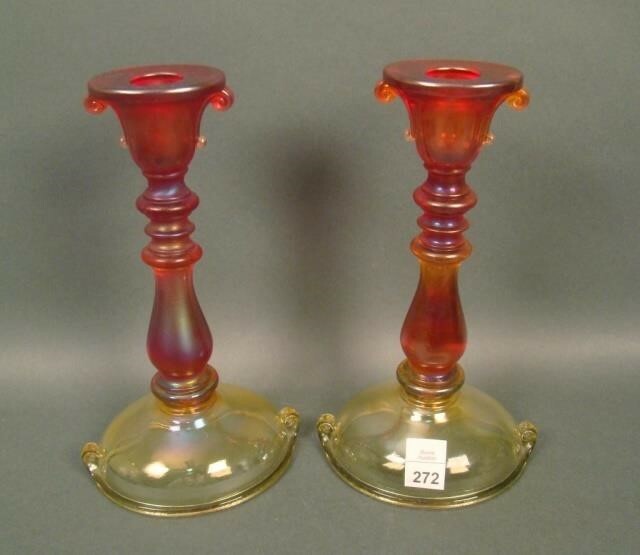 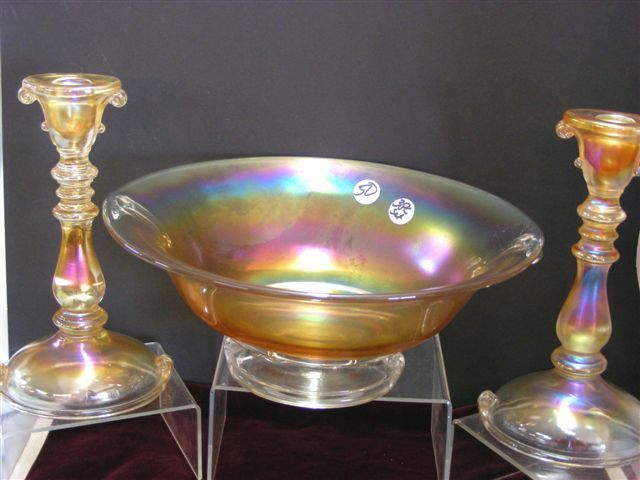 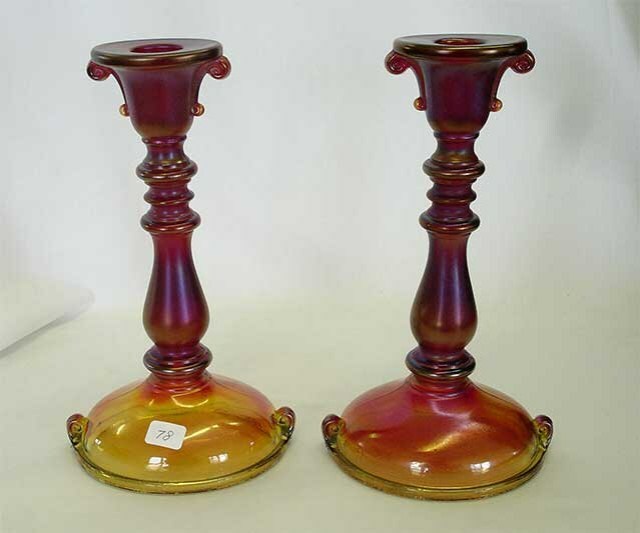 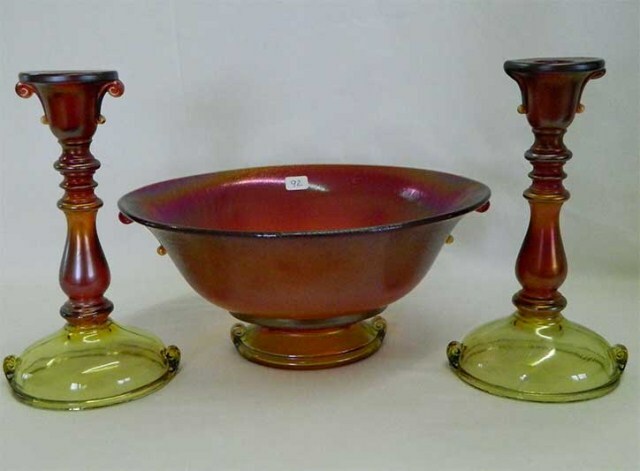 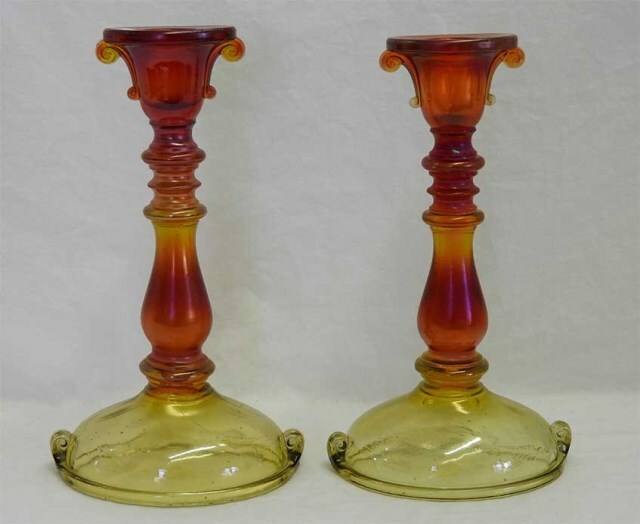 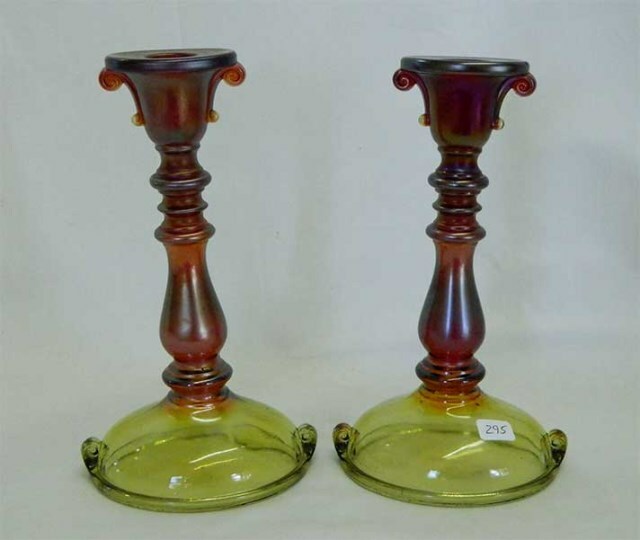 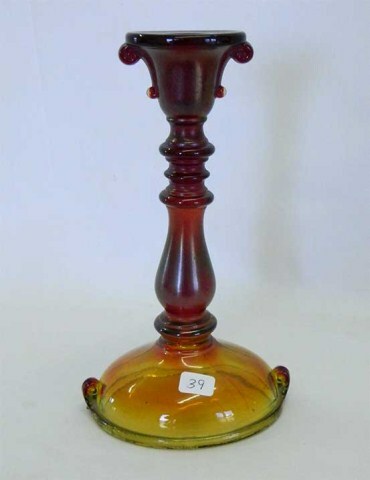 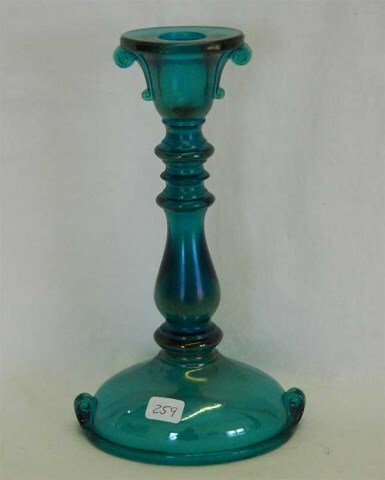 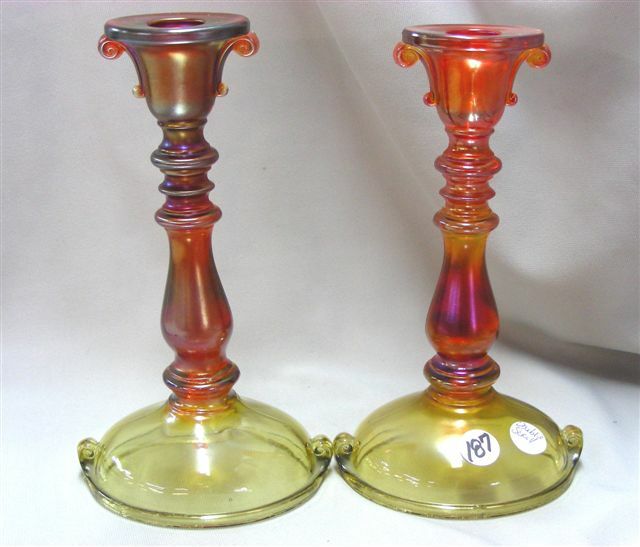 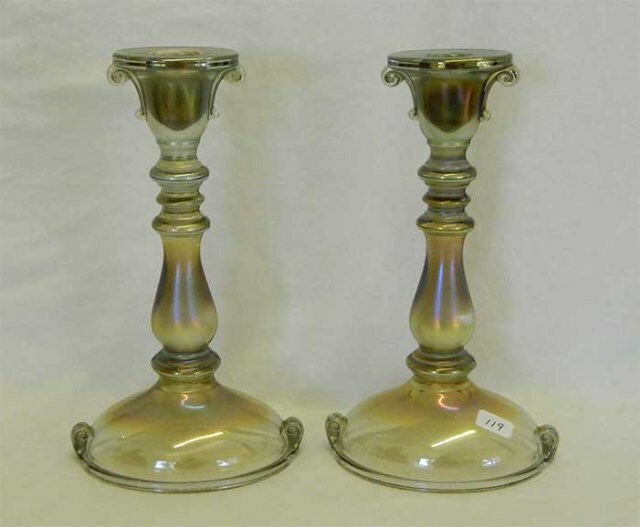 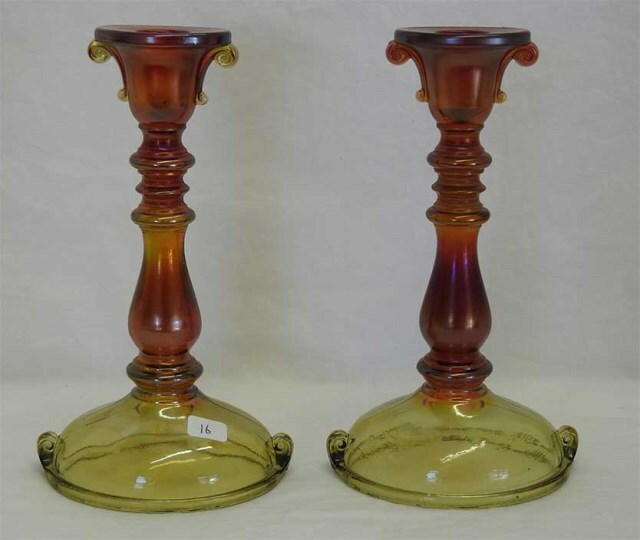 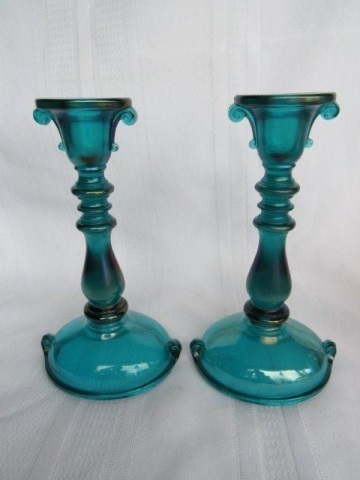 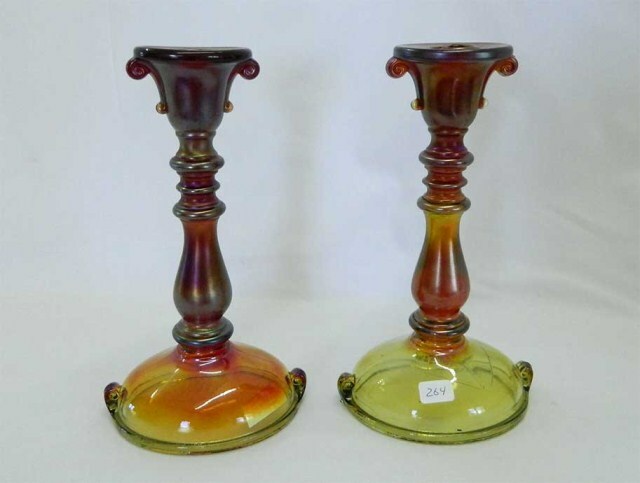 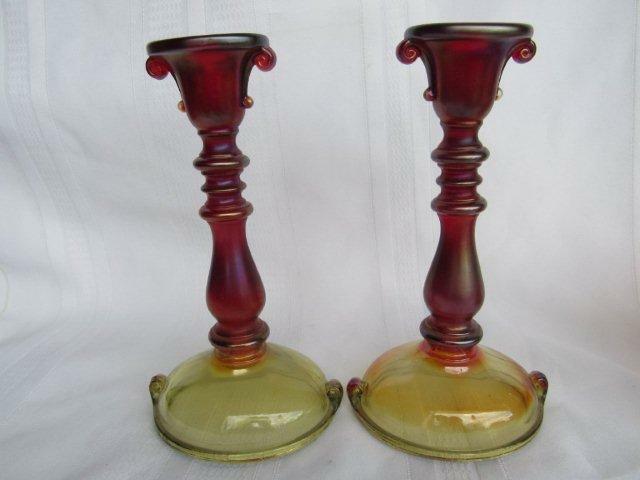 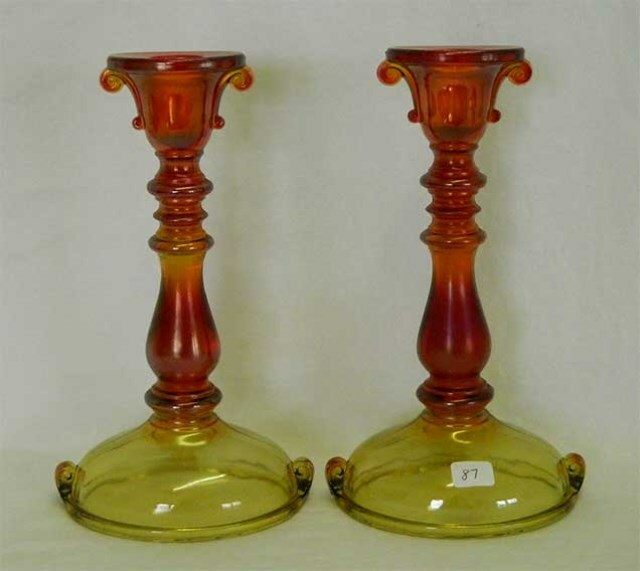 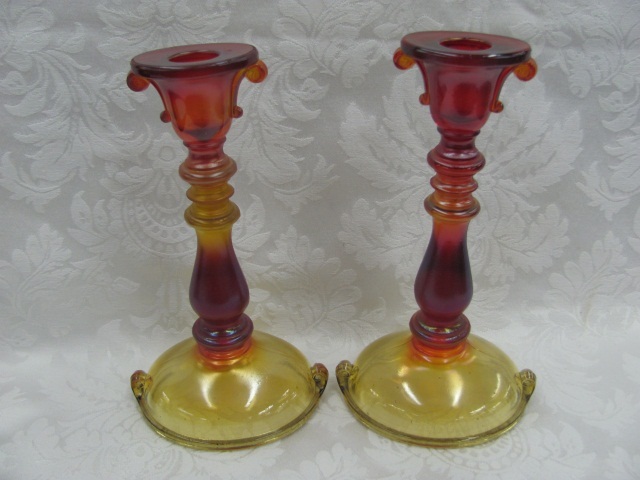 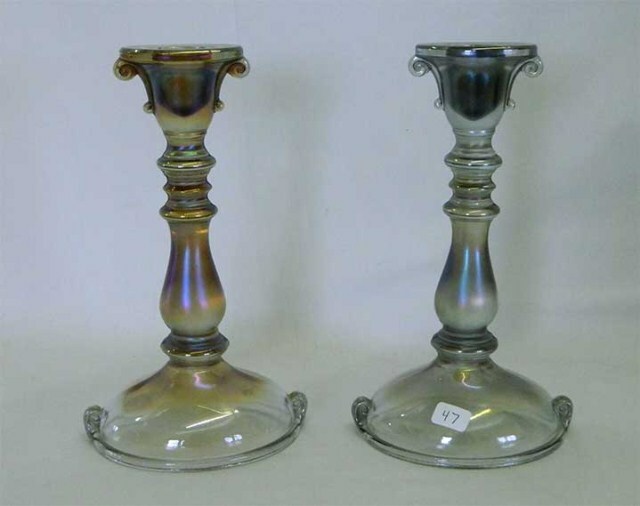 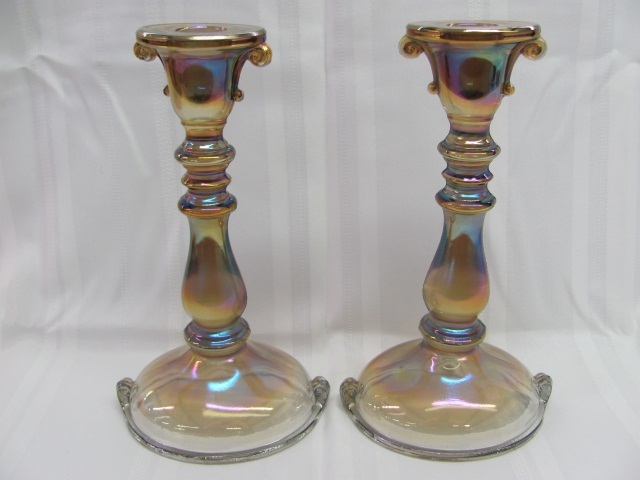 The amberina candleholder on the right is a rare variant with a swirl base.